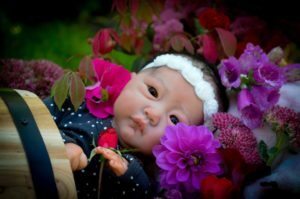 The Ellory by Andrea Arcello reborn doll kit is currently available to pre-order. I love the features that this sweet kit has. This cute baby is a really nice preemie size at 16.5 inches. The full limbs make this little one easy to dress in any outfit that you find. 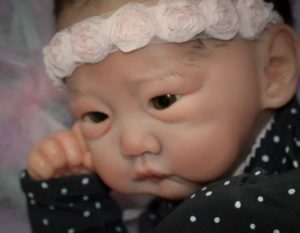 As Ellory is an awake reborn doll kit you will need a set of 20 mm eyes. You will need to purchase a cloth body for this darling, which you can add seperately. TUMMY PLATE: A full GIRL tummy plate is included in the price of this kit. Please note you are buying a blank vinyl kit only, not a finished baby. 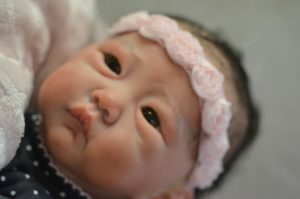 The photos are to give you an idea of how your completed baby could look.